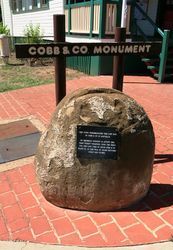 The monument commemorates the last run of Cobb & Co in Australia. 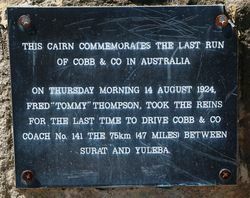 The last run of the horse drawn coach was from Surat to Yuleba in August 1924. 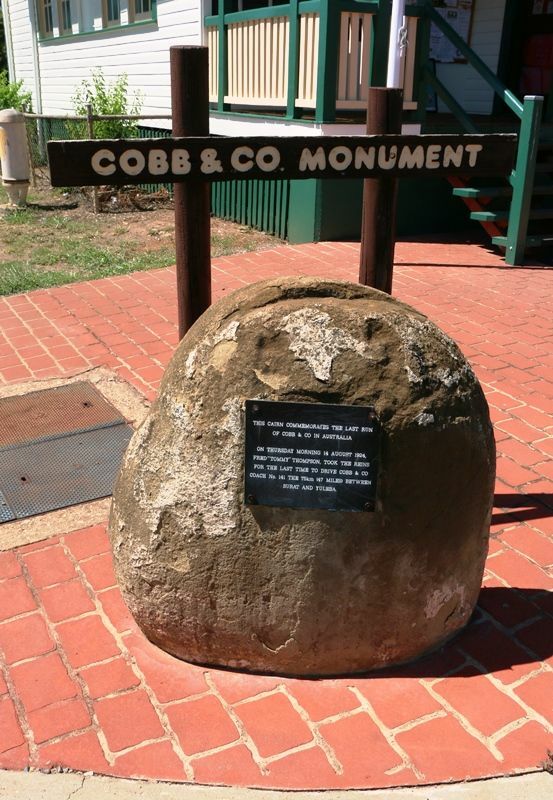 This cairn commemorates the last run of Cobb & Co in Australia.